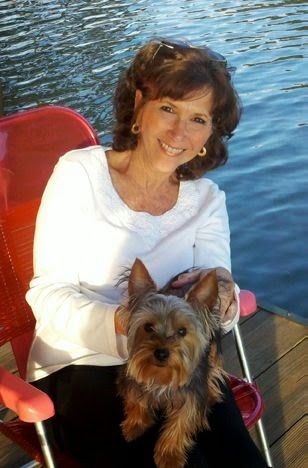 As I struggle through the third book in my Diana Racine Psychic Suspense series, I thought about the finished book waiting in the wings that I never published. I’m sure it needs a good edit and updating. I never published it because the book is fiction written around a real event, the Isabella Stewart Gardner Museum heist, pulled off in Boston in 1990. This still remains one of the largest art thefts in history, valued at $500 million, and none of the 13 stolen pieces has been recovered. I’m from the Boston area, went to art school there, so the theft left a big hole in my heart, along with eleven empty frames still hanging in the museum. I’ll certainly add a line or two in the preface to explain the creative license I took to write the book. But twenty-four years is a long time for a crime to remain unsolved, and I’m willing to take the risk. It is fiction, remember. Another consideration was the arrest of master criminal, Whitey Bulger, a man thought to be involved, if not in the heist, as a middleman to raise money, specifically for the Irish Republican Army. If Bulger knows anything, he hasn’t disclosed the information to the public’s knowledge. Even though the FBI now claims to know who the culprits are, the statute of limitations has expired on pursuing their arrest and prosecution. However, anyone in possession of the art can still be brought to trial. The most anyone can hope for is a return of the stolen art. 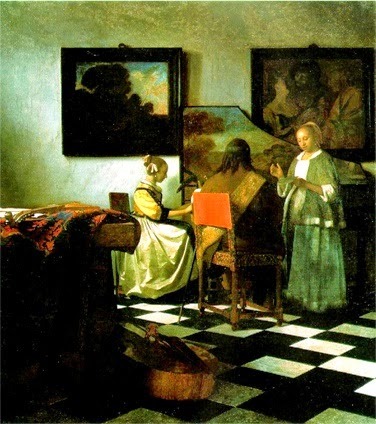 My book, titled Cross Currents, is primarily a caper that revolves around one piece of the stolen artwork, Jan Vermeer’s The Concert. What makes the Vermeer, all the Vermeers, so valuable is that only thirty-four are known conclusively to be painted by the artist. The worth of that painting alone is $200 million. 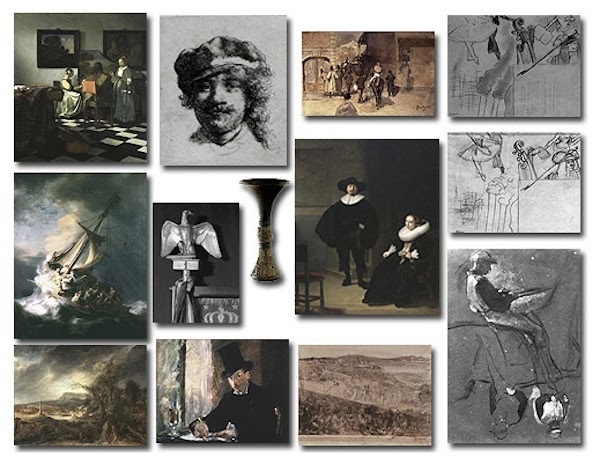 That’s a sizeable chunk when you consider the rest of the stolen art includes three Rembrandts, five Degas sketches, and a Manet. Part of the fun in writing this book was that I learned about art forgers like Hans Van Meegeren, who replicated canvases of Vermeer and others to such perfection that they were hung in major European museum and found their way into the collection of Reichsmarschall Hermann Goering during World War II. The development of modern scientific techniques such as gas chromatography tripped up Van Meegeren away because the pigments in paints had changed significantly since the seventeenth century. Still, he reaped millions and millions of dollars before he was caught. He died of a heart attack right before his trial. I’ll return to Cross Currents as soon as I finish my work in progress. The book is filled with the trademark characters I love to write: those tempted to cross ethical lines, although in this book, some of them have made a career out of being on the wrong side of the law. Does my heroine, Zoe Swan, find the painting? 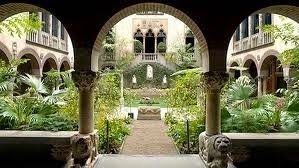 Is it the real thing or a forgery, and will it fill the frame at the Isabella Stewart Gardner Museum? I’m not telling. Sounds intriguing. One of my sons once said I wrote about real events because I'm so poor at plotting. I'm sure that's not the case with you. Sounds like you've crafted a suspenseful mystery out of a real mystery. I'd guess most writers are inspired by real events in crafting their stories. It might be a line or two that jumpstarts our imaginations. We usually start out by querying, "What if..." That's been the case with me anyway. Thanks for stopping by, Judy. I've been to the Gardner and seen those eerie empty frames. Solve the mystery, Polly! It would be an excellent heist thriller or mystery. The world is full of unsolved mysteries that make great stories. In this case, the truth must be stranger than any fiction, though my take is pretty strange. I'm sure the reality is much simpler. Two crooks rob the museum and can't unload the art. The treasure is probably in some cellar somewhere I hope being protected. I can't wait getting back to it, Linda, but that's because I'm having so much trouble with my WIP, which I can't stop or I'd have to start all over again. Sounds like a fascinating story, and love that you can fill in blanks because it's fiction, after all. The ultimate "What If?" That's right, Terry. What if? If I was even remotely close, the FBI would hire me as a profiler. That's how sure I am it didn't happen like I wrote it. But it was fun imagining. 'Even though the FBI now claims to know who the culprits are, the statute of limitations has expired on pursuing their arrest and prosecution.' Wheww ... sure am glad to know that ... uh, just because, it's interesting information ... yeah, that's it. What a fascinating subject, Polly, and clearly one dear to your heart. Great title, too. Real stories like this heist add a dimension of pleasure to the reader. Thanks, Marilyn. The title comes from a certain place in the water in North Myrtle Beach, SC, where the book starts out. The current does cross from both the ocean and the channel, making it quite treacherous, even close to shore. The title is a take on the danger Zoe faces as she inadvertently gets caught up in the mystery. Back to writing my WIP so I can get back to Cross Currents. Very interesting. I like that it's based on reality. Too bad the statue of limitations has run out! I agree about the statute of limitations, Helen. Actually, there's a con book there where the FBI sends someone undercover to catch the guys they know committed the crime so they can arrest them. Hmm, interesting idea. I can't wait to read the book! Anything related to art makes the theme that much more interesting anyway. Dani, all my books have some connection to an artsy subject somewhere in the story. It wasn't intentional, but we write what we know. In my case, I write about what I don't know but learn along the way. That's the fun. Jane Langton wrote Murder at the Gardner which is a great book if you haven't already read it. I visited the museum some years ago. It's so lovely, and it's featured in one of the chapters in my middle-grade book, The Sherlock Holmes Detective Club when an elderly lady is chasing jewel thieves around the country and my students are writing to her.Can't wait to read your book. Thanks, Gloria. No, I haven't read Murder at the Gardner, but I just looked up Jane Langton. I wasn't familiar with her work. The Gardner is a magical place and a must if ever anyone visits Boston. The next time I go back, I'd love to see all the frames with their paintings installed. Thanks so much for stopping by. One of my plots involved art theft during WWII so I've done a lot of research. I abandoned that book, at least temporarily, but I understand your fascination, and since you were an art major, your appreciation of the talent and paintings. Can't wait to read it, Polly. Mush! Thanks, Elaine. All this talk about Cross Currents put me on a speed track, and yesterday I wrote 1200 words on my work in progress. That's a lot for me these days with this book. I used to do triple that, but I'm satisfied. Now if I can keep it going, I can finish this book and Mush! You should pick up that book again. Everyone loves art theft stories. Unfortunately, people would like the Gardner heist more if the paintings were returned. Thanks for stopping by. Looking forward to reading Cross Currents, Polly. I'm fascinated by art crime and am presently editing my own art-theft manuscript. My story also deals with a stolen painting—albeit a fictional one. There is a glamour and mystique afforded art theft that is undeserved. Despite television mysteries, art is rarely stolen to feed the compulsive obsessions of wealthy private collectors. Stolen art is far more likely to be used as a means to finance guns, drugs, and/or terrorist activities. It would be amazing to see the art back in the Gardner's empty frames. I understand the need for a statute of limitations, although I'm less convinced it should apply to cultural treasures. The movies are to blame for glamorizing the art/jewel thief. Cross Currents has a jewel thief too, and he's the best character in the book, imo, so I guess I'm guilty of advancing the theme. I look forward to reading your book, any book, and I'm so glad the reading public will now have a chance with A Twist of Hate in 2015.